Vacations and travel are a time to make memories, to have fun, enjoy the moments and to be in gratitude. Smile and keep your happiness buttons turned on. 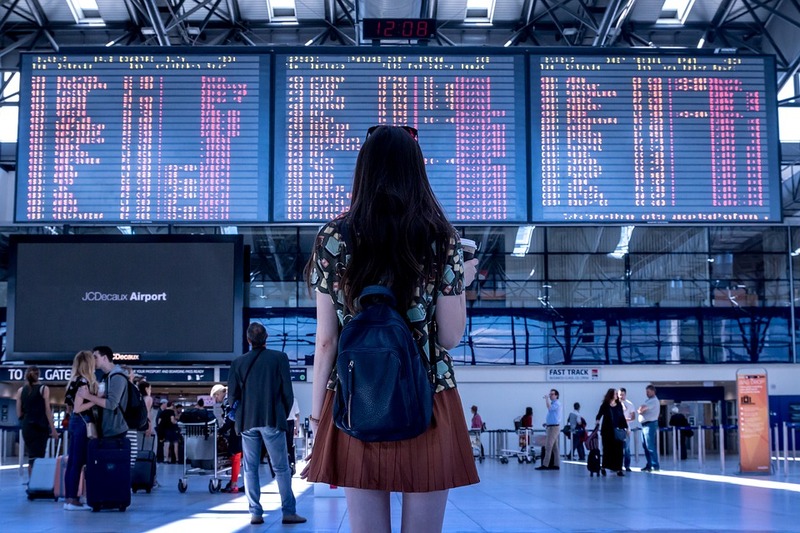 However, between busy airports, unexpected delays/cancellations, differently-opinioned travelers, and lost luggage, trips can often be a stressful experience. I traveled the world for years with my late husband Dr. Robert Muller, who was the former UN Assistant Secretary General, and continue to do so today to help spread peace and unity. Among our global travels, we also traveled annually from our home base in Santa Barbara to Costa Rica, to be at the newly created University of Peace. Along the way, I have picked up many practical tips and tricks that can contribute to a safe, enjoyable, and peaceful journey. Try them and you will be surprised at the results as you uncover the treasures of your destination and many unexpected experiences. If you are on business trip, try to take an extra day to slow down with no agenda and no pressure to do anything at all, just be. You will thank me later. • STOP: One of the first rules for maintaining peaceful conversations is to actually stop for a moment and consider what to say before responding automatically. Stop also allows you and your companions to be sure you are on the same page. It can be as simple as a comment, “I need to STOP and understand what is going on.” We have found that STOP always helps things get better and helps us focus on what’s important. • Always make friends with the flight attendants: Ask them about themselves, as well as, your destination. Not only will you make a friend on the flight you may learn about some hidden gems in the city you’re traveling to. And we have always received an extra cookie or drink. Have fun. On a really long flight, Robert put the cupcake papers behind his glasses and did we all laugh. When we left the flight, the flight attendants even gave us a bottle of wine to enjoy! • Don’t snap at either the check-in attendant or your travel companions: When your travel plans hit a snag, remember that it’s rarely the check-in attendant or your travel companion’s fault. A kind word or compliment goes a long way– it will keep peace on your trip and may get you information that will help solve the issue faster. Peace is not the absence of problems but the ability to deal with them. • Show gratitude: Say “thank you” hundreds of times as you travel. Watch as this simple phrase helps you and opens the door to new and wonderful possibilities for adventures on your journey. • Naps and Snacks: One of the best way to keep the peace is by making sure that everyone is fed and rested. Take a peacekeeping food bag with you filled with munchies (we’ll leave it up to you as to whether or not you fill it with apples and granola bars or chips and chocolate). Take timed turns carrying the peace backpack and if you are lucky your turn will be at the end of the day when everyone has eaten all of the snacks! • Create a ‘peace corner’ in your car or hotel room: If one of your party is disturbing the peace (adult or child), send them to the designated peace corner or peace seat in the car where they are only allowed to say peaceful, positive things for at least 15 minutes. By using these easy tips, you can bring peace along as you travel. They will help you turn your experience into a positive and peaceful one where the only thing you’ll have to worry about is bringing enough sunscreen, a good book and a smile! Why People Prefer Travel Startups As A Business?